The Genius of Clint Eastwood "I wouldn’t assume that the general tenor of his performance wasn’t exactly as he intended. The hair was a clue: No Hollywood icon goes out on stage like that unless he means to." A guy smoothly reading platitudinous codswallop while rotating his head from the left-hand teleprompter to the right-hand teleprompter like clockwork as if he’s at Centre Court watching the world’s slowest Wimbledon rally is a very reductive idea of “professionalism.” Even politicians you’re well disposed to come across as slick bores in that format. Which is by way of saying Clint is too sharp and too crafty not to have known what he was doing. "Protesters planning rallies and marches in Charlotte say their actions during the Democratic National Convention will likely dwarf those in Tampa, where thousands of demonstrators were expected but only hundreds showed up to the rain-drenched Republican National Convention. "A cross-section of people representing 90 groups planning to demonstrate during the DNC said they plan to bring their 'Enough is Enough' messages to Charlotte starting Saturday. Friday’s press conference took place at the NoDa office that has become the headquarters for many protesters in Charlotte. Starting Saturday, someone walking through Charlotte's central business district could run afoul of the law by carrying water bottles, hair spray, socks or magic markers under sweeping security rules enacted ahead of the Democratic National Convention. A section banning "a container or object of sufficient weight to be used as a projectile" could be interpreted to include almost anything, from an apple to an iPhone. 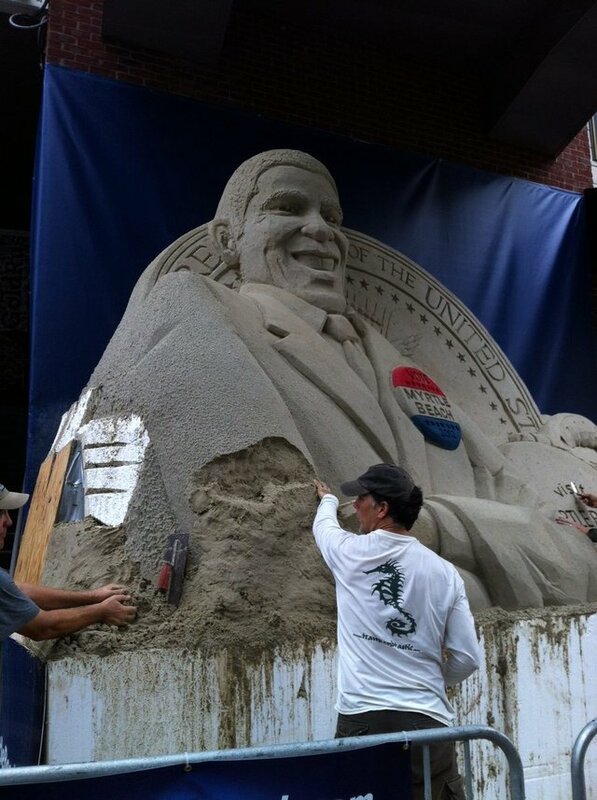 Workers were trying Saturday afternoon to reform the base of the sculpture, built from sand brought in from Myrtle Beach, S.C., pounding and smoothing out the sand that had washed off the facade of the waist-up rendering of the chief executive. The large Rushmore-style sculpture drew comparisons to Mr. Obama's 2008 convention in Denver, when he accepted his party's nomination on a stage that looked like a Greek temple. It’s finally over. 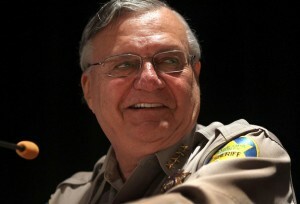 The 3-year, disgraceful witch-hunt of Sheriff Joe Arpaio by the Obama Department of Injustice was dropped tonight, with absolutely no charges to be filed in the matter. Friday night releases of embarrassing political revelations are a long and infamous tradition, in order to minimize the exposure of the story to the American people. But this release took the cake: Friday at 5pm, before a Labor Day weekend, and right after the close of the Republican National Convention. And no wonder. This one was a doozy. After all, this was a political persecution right from the start. The Obama DOJ started this thing less than 100 days after Obama took office, at a time when the Department was not even fully staffed. They were chomping at the bit to go after him. And now it is all for nothing. You can hammer Obama on health care. Mock his golf outings. Demand to see his birth certificate and Harvard transcript, and call him a European socialist bent on turning the American Dream into a Belgian nightmare. He’ll throw his head back and laugh at you like a Bond villain. If President Obama carries only those states where he had a net positive approval rating in 2011 (e.g. 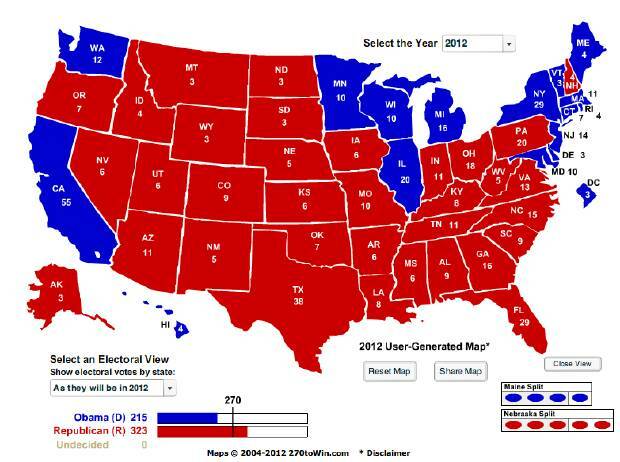 Michigan where he is up 48 percent to 44 percent), Obama would lose the 2012 election to the Republican nominee 323 electoral votes to 215. Bottom line: This morning, Mitt Romney led and President Empty Chair was forced to follow. "When somebody does not do the job, we got to let him go," he said near the end of his remarks, to rowdy applause. "We own this country," he added. "Politicians are employees of ours. They're just going to come around and beg for votes every few years, it's the same old deal." ◼ California needs to hear the same message about loosening environmental regulations to spur economic growth that Tahoe regulators are beginning to heed. The blue waters of Lake Tahoe framed the stunning backdrop as the politicians orated. There were some droning Nevadans and three always-interesting Californians: Sen. Dianne Feinstein, U.S. Rep. Tom McClintock and Gov. Jerry Brown. This was a "save the lake" crowd, heavy on environmental concerns, attending the 16th Annual Lake Tahoe Summit inaugurated in 1997 by President Clinton. The recent event was basically designed as a pep rally for continued slow growth and environmental regulation. And you wouldn't guess who drew the most enthusiastic response from these lake lovers: It was that right-wing, regulation-hating McClintock, whose sprawling district includes the California side of the lake. "Today's theme is private-public partnerships for environmental improvement, but there's not going to be a private sector left unless we get serious about economic improvement," the Republican warned, drawing loud applause from the mostly local crowd of roughly 200. "Tourists don't go where they're not welcomed, or where facilities are left to decay because simple repairs can't be made, or where prices are inflated to pay for exorbitant [permit] fees...."
"People are fleeing Lake Tahoe," continued the former Southern California state legislator and one-time gubernatorial candidate. "And a lot of them are heading to the Nevada desert. "With all due respect, no conceivable act of God could turn Lake Tahoe into a less-desirable place for people to live and work and raise a family than the Nevada desert. Only acts of government could do that. And they have." Again, loud applause and laughter. The congressman lamented Tahoe's "stagnating economy and a staggering unemployment rate that's hovering around 16%" — roughly twice the national average and much higher than California's overall rate, 10.7%, or Nevada's, 12%. Michael Moore: Get Used To Phrase "President Romney"
If you have any trouble with the embedded stream above, click on the YouTube in the lower right corner to view directly on YouTube. ◼ And, The Right Scoop has multiple alternate streams here. ◼ Via Hillbuzz It looks like CSPAN has a live stream that seems stable and reliable. We're underwhelmed with the substance, and disgusted at the process. Once again, the California Legislature is about to take action on an issue with missing pieces, unanswered key questions and no time for a proper vetting of a measure that was crafted without Republican input. Ryan had it exactly right, and the fact checkers have made a mockery of their own profession by stepping all over their own biases to refute Ryan. If this is all they've got, it's no wonder they're freaking out. Paul Ryan told the truth about Barack Obama, and the president's campaign can't handle it. Jerry Brown, in his first stint as Governor of California (1975-83), gave public employees the gift that kept on giving: collective bargaining. Now, in his second stint, nearly three decades later, he is facing the consequences of that gift. Public employee unions as a group, and especially the teachers' unions, have ended up owning the state legislature: virtually all the majority Democrats and even some Republicans. These politicians have come to depend upon contributions from the huge war chest of the California Teachers Association. From 2000 to 2009, the CTA spent $211 million in contributions and lobbying, two times the next biggest spender, the Service Employees International Union. Add $40 million to that for the two years since, including a hefty contribution to Brown's 2010 campaign. 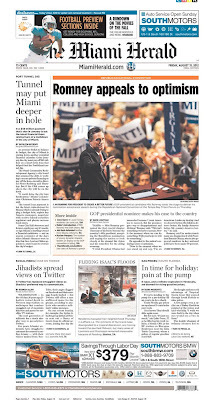 The Los Angeles Times reports that a year ago, when the state was facing another multibillion dollar deficit, Gov. Brown called a conference with legislative leaders to decide where to cut spending. Significantly, also at the conference table was Joe Nunez, chief lobbyist for the CTA. Threatened cuts to schools were shelved. Brown then decided on a swing-for-the-fences strategy. He would put on the 2012 ballot a measure to "temporarily" increase incomes taxes on those who earn more than $250,000 a year and increase the sales tax by one-quarter of one percent. The state's income tax and sales tax rates are already among the nation's highest. Brown's pitch for this measure (Prop. 30 on the ballot) has been that it's "the people's choice." If they vote for it, much of the new revenue will go to schools; if they vote against it, education budgets will be cut and promised new allocations for local law enforcement will not materialize. Not coincidentally, the CTA has thrown money at promoting a "Yes" vote on the measure. A recent poll released by a University of Southern California unit shows the measure still in positive territory, 54.5 percent to 35.9 percent. That will narrow, but CTA money may put it over. Californians are already overtaxed and the state is too heavily in debt. In recent years the state has faced annual multibillion dollar deficits, "cured" at the last minute by accounting sleight-of-hand. Brown's proposal is expected to yield about $6 billion annually. This will do nothing to stem future deficits, for neither he nor the legislature is willing to tackle the causes of much of the problem: overly generous public employee pensions and health plans. Last year, Brown proposed a series of pension reform measures and said it was up to the legislative Democrats to respond. Not surprisingly, nothing happened. Brown is no Scott Walker and the Democratic legislature consists mostly of lapdogs dependent upon the largess of public employee unions. Added to this self-perpetuating gridlock is the discovery that the Parks Department -- and perhaps others -- was sitting on $54 million of "user" fees it had collected while at the same time wringing its hands over budget cuts that threatened to close 70 state parks. These "special funds," as they are called, represent nearly one-third of the annual state budget. The Brown Administration conceded that it has only an "honor system" to keep track of these funds. The State Office of Finance is now investigating all of them. Heads may roll, but more importantly, will Finance's report recommend an air-tight system for accounting for these funds and will the money be put to use to reduce deficits? Jerry Brown I unleashed a political and policy monster. It looks as if Jerry Brown II has washed his hands of reform and is standing aside, hoping the voters will give him a temporary budget "fix" while emptying their own pockets more than ever. __________________About the Author: Peter Hannaford was Director of Public Affairs in the Governor's Office when Ronald Reagan was Governor of California. His latest book is Reagan's Roots: The People and Places That Shaped His Character. 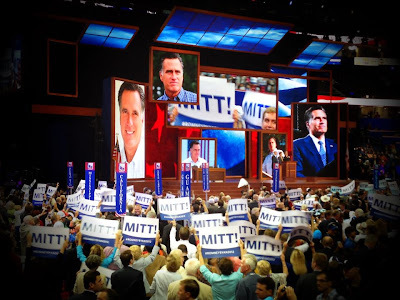 Provided by the Romney campaign: Mr. Chairman, delegates, and fellow citizens: I am honored by the support of this convention for vice president of the United States. “When the world looks at us today they see an American government that cannot live within its means,” she said, broadening and tying the economic crisis to America’s foreign policy. Rice spoke of American exceptionalism asserting that there is no barrier to success, not race, religion or nationality. “That it does not matter where you came from, it matters where you are going,” she said to deafening cheers. She took on class warfare and entitlement, noting that Americans are not people of jealousy and distress, but a people of opportunity. The following is a transcript of a speech given by Kentucky Sen. Rand Paul at the Republican National Convention on Aug. 29, 2012. Romney had a 43-percent favorable and 44-percent unfavorable rating in nine battleground states heading into the convention, according to an average compiled by Real Clear Politics. 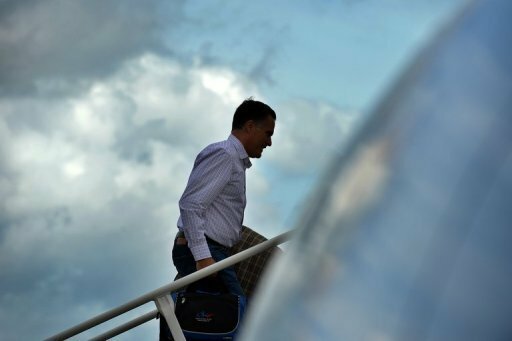 Romney scored his highest favorable ratings in Virginia, North Carolina and Florida, according to the WPA Opinion Research poll. ◼ Via Hillbuzz CSPAN has a live stream that seems stable and reliable. Ann Romney spoke at length about love, marriage, and children, but her message will prove most dangerous to Democrats when it rests in the ears of single women. That’s one of the demographics political strategists say Republicans have the most trouble reaching. That’s because single women have proven particularly vulnerable to the empty promises and illusions peddled by the Left. They were the target audience for Obama’s bizarre “Life of Julia” web video, which presented an imaginary woman whose entire life was lived in the shadow of government dependency. Nothing of consequence “Julia” did – from childhood through her adult career and the raising of her own son, without a single mention of the hypothetical boy’s father – happened without assistance from a Big Government program… all of which, the reader was assured, heartless Republicans couldn’t wait to cut. But Republicans aren’t going to cut those programs; reality is. It’s telling that Obama had to invent an imaginary woman to tell his little fable. “Julia” was born in 2012, and every promise of Big Government assistance Obama made beyond her teenage years was an utter lie. On the course he has set, there won’t be money for any of those things. Before Julia enters the workforce, the entire federal budget would be consumed by entitlement spending and debt service. None of those entitlements could possibly survive long enough for Julia to take advantage of them in her old age. “I’m not sure if men really understand this, but I don’t think there’s a woman in America who really expects her life to be easy. In our own ways, we all know better! “And that’s fine. We don’t want easy. But these last few years have been harder than they needed to be. It’s all the little things – that price at the pump you just can’t believe, the grocery bills that just get bigger; all those things that used to be free, like school sports, are now one more bill to pay. It’s all the little things that pile up to become big things. And the big things – the good jobs, the chance at college, that home you want to buy, just get harder. Everything has become harder. The notion that men and women don’t need each other – that a healthy society and economy can thrive without strong family relationships – is another deadly illusion that must be discarded. Uncle Sam cannot afford to fill the role of either Mother or Father any more, and really, he was never a proper substitute for either. The virtues Ann Romney extolled in her husband – competence, modesty, and a commitment to personal charity that he rarely discusses in public, because he’s not doing it to win applause – are vastly preferable to a flashy boyfriend who makes a lot of big promises, then vanishes in a cloud of overdue credit card bills. Our voluntary union in marriage, friendship, partnership, and corporate endeavor is vastly superior to involuntary dependence and servitude, both morally and practically. New Jersey Gov. 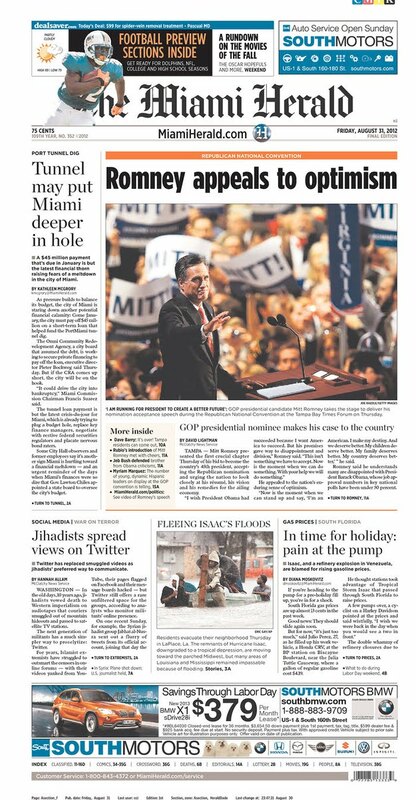 Chris Christie: "What Matters Now is What We Do"
“This week in Tampa, my opponents will offer you their agenda. It should be a pretty entertaining show,” he said at a campaign rally at Iowa State University. ”And I’m sure they’ll have some wonderful things to say about me. Obama asserted that the message Republicans will unveil in Tampa will be laced with the top-down economic philosophy that failed America in the past decade. Uh huh. Well, Mr. President, a whole gamut of Republican governors did indeed take to the stage to refute your erroneous “top-down” baloney this evening, in the knowledge that a huge, meddlesome bureaucracy that thinks it knows best and taxes success is the real definition of “top-down.” And who better poised to talk about the successes of creating economies actually grown from the “middle-out” by rolling back red tape, lowering taxes, encouraging entrepreneurs, and realizing that individuals not government are the real job creators, than Republican governors seeing micro-successes within their own laboratories of democracy. New Jersey Gov. Chris Christie ripped California Gov. Jerry Brown on Monday, saying that the state’s voters should have elected Meg Whitman but instead went with a “retread” who is failing to lead. 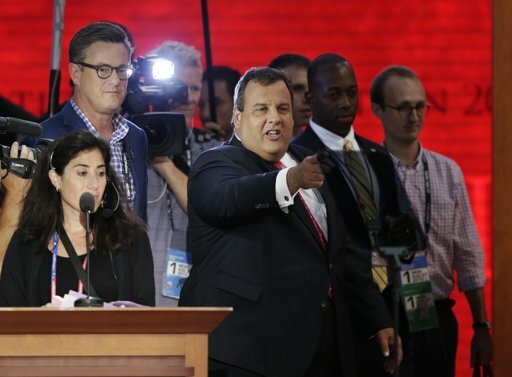 Media coverage scarcely resembles the actual GOP convention. 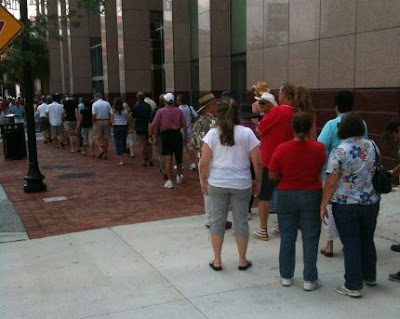 TAMPA, Florida -- The Republican Party has spared no expense to accommodate the hundreds of journalists who have come here to write dishonest stories aimed at preventing the GOP from winning this year's election. If you've been following major media coverage of the Republican National Convention, you know that the party's presidential candidate is Todd Akin, who will campaign this fall on a platform of undiluted hatred and evil, with the able assistance of his running mate, Martin Bormann Jr. The Akin-Bormann ticket was personally selected by RNC Chairman Rush Limbaugh and endorsed by Karl Rove after consultation with a secretive cabal of right-wing Mormon billionaires. The Republican delegates who are assembling this week in Tampa are mere dupes hired by the Koch brothers to provide the superficial appearance of a "political convention" debating a platform and nominating candidates. Hundreds of reporters have come to Tampa with plans to cover something other than the actual Republican convention. Instead, they are here seeking "proof" of their own preconceived partisan prejudices and it is amazing (as I sit here in the lavishly appointed Media Filing Center downtown) to see how the Republican Party has spared no expense in welcoming its most ferocious and dangerous enemies. If you believe what you see in most convention coverage, you will think of Republicans as the Evil Party of Greedy Haters, a frightening conclave of grim and ferocious extremists. Everything the GOP does here in Tampa will be portrayed as insincere, corrupt, scandalous or (best of all) "controversial." When Democrats convene next week in Charlotte, however, everything Obama and his supporters do will be portrayed as warm, wonderful, and honest. The reporters delivering these contrasting depictions of the two parties do not consider themselves as engaged in partisan advocacy. Rather, in the minds of the liberal media, they are simply reporting the objective truth. ◼ Shouting match erupts between Ron Paul and Mitt Romney supporters as the convention unceremoniously votes on Rules, Credentials. We are a nation made great by the extraordinary aspirations of ordinary men and women who summoned the inner drive, discipline and persistent effort to achieve their dreams within a free enterprise system that enabled them to do so. America's entrepreneurs ask not for guarantees of success, but only for the chance to try; by seeking merely the opportunity to apply our God-given talents in single-minded devotion to our goals, we have earned every right to demand that government does not impede our path. Across the nation, Republican governors have summoned the courage to return to the principles that allow entrepreneurs to create jobs: limiting spending, reducing debt and restraining unnecessary regulation. While they have achieved success in restoring economic vitality in their states, their efforts have been frustrated by the Obama administration, whose policies have stifled job creation and hindered economic growth. Those policies have failed because Barack Obama believes that it is government, not individual Americans, that produces economic growth and creates jobs. 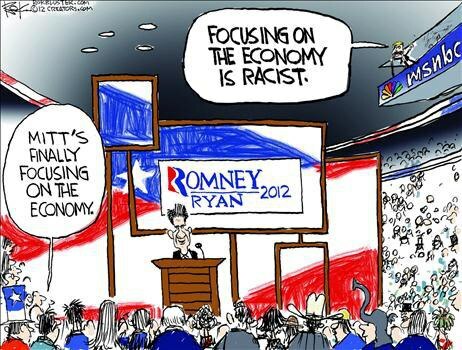 Mitt Romney knows better. The engine of prosperity is fueled by American men and women with dreams and determination to create a better future for themselves and their families. Mitt Romney wants to give them the tools and the freedom they need to do so - and to let them keep more of what they work so hard for. U.S. Debt Clock unveiled Noting the unveiling of a national debt clock mounted inside the Tampa Bay Times Forum, CNN Newsroom highlights the fact that the debt "will obviously continue to balloon during the four days in Tampa." 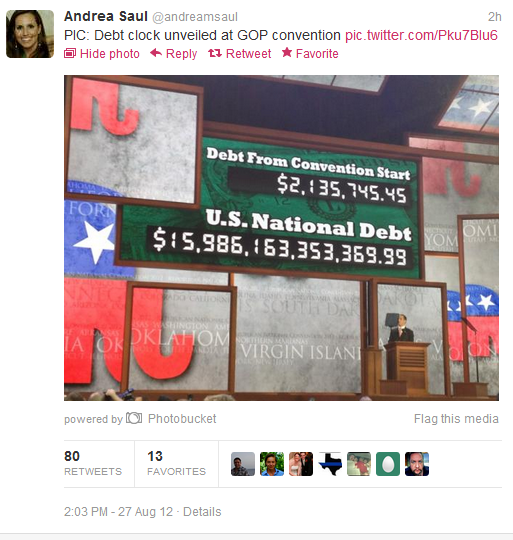 That's exactly the point Republicans want to drive home during the convention, and small wonder: the debt is now approaching $16 trillion-with a bullet. Says CNN of the debt clock's placement in the Tampa Bay Times Forum: "That's what you call seizing the narrative and getting the economic debate front and center." Social Media at the RNC" Social media is an emerging political background," reports Fox News today in a story highlighting Republican efforts to "(level) the digital playing field." Convention Press Secretary Kyle Downey says the importance of social media "gives us four-days to focus our message and to deliver it unfiltered." Adds Fox: "According to experts, Republicans have effectively erased the social media edge" once held by Democrats. 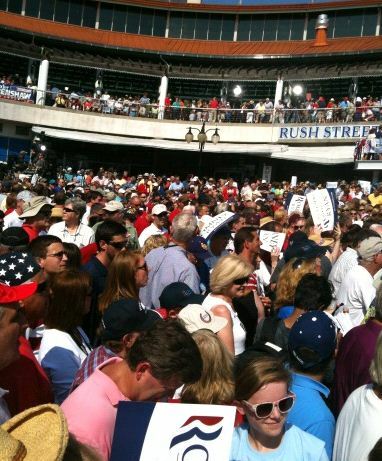 The 2012 Republican National Convention will be held at the Tampa Bay Times Forum August 27-30, 2012. Nearly 50,000 visitors are expected to come to the Tampa Bay area for the event, including delegates, alternate delegates, media and other guests. 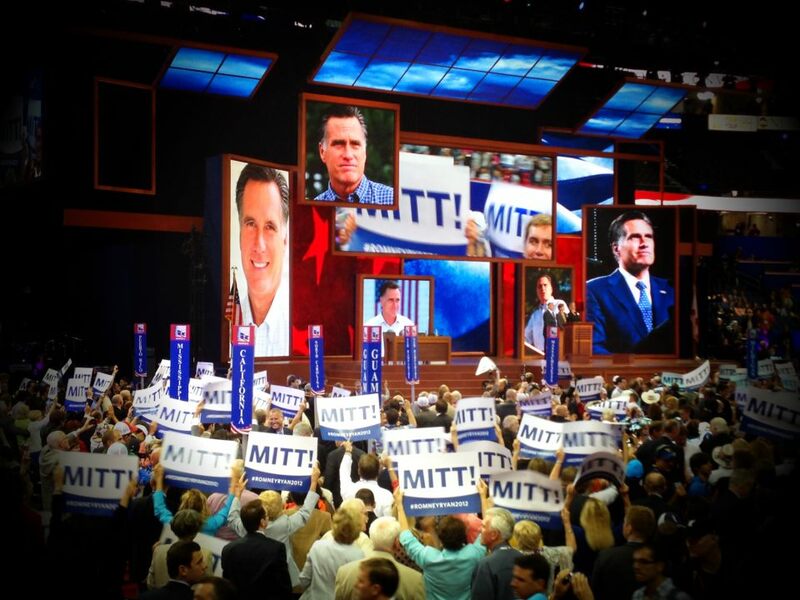 For more information about the 2012 Republican National Convention, become part of the virtual convention at ◼ www.ConventionWithoutWalls.com, visit our website www.GOPConvention2012.com and check out our official blog, Conventional Wisdom, at ◼ www.gopconvention2012.com/blog/. 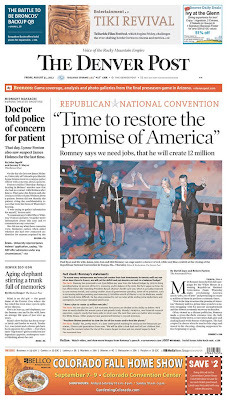 The Republican National Convention Rules Committee voted 63-38 to approve a new rule allowing granting the Republican National Committee — and Mitt Romney — sweeping new powers to amend the governing document of the GOP. The move came at the encouragement of Mitt Romney supporters on the committee, including Romney’s top lawyer Ben Ginsberg, who stressed that it would grant “flexibility” to Romney and the committee to adapt to changing political environments. The rule allows the RNC to amend the party’s rules without a vote by the full Republican National Convention. And it offers the Republican Establishment a new tool to keep at b[a]y Tea Party initiatives that threaten to embarrass or contradict party leadership and stray from a planned message. The ramifications for grassroots activist and state GOPs are vast. This rule change would allow a candidate to select his or her own delegates, essentially allowing the nominee to get to choose those who nominate him instead of the states. This proposed rule change is starting to sound more like an Obama executive order. At 2:00 p.m. today in Tampa, the Republican National Committee, led by Team Romney, is moving to shut down conservative grassroots activists. I’ve been on the phone with several individuals involved in the fight who tell me that the fight is not over, it is only just starting. Specifically, the media is reporting that the rules fight is over because Team Romney is abandoning Ben Ginsberg’s effort to allow candidates to control delegates. Under an initial proposal, delegates would, in effect, be chosen by the presumed nominee’s campaign and not based on votes in the states and delegate selection processes in the states. 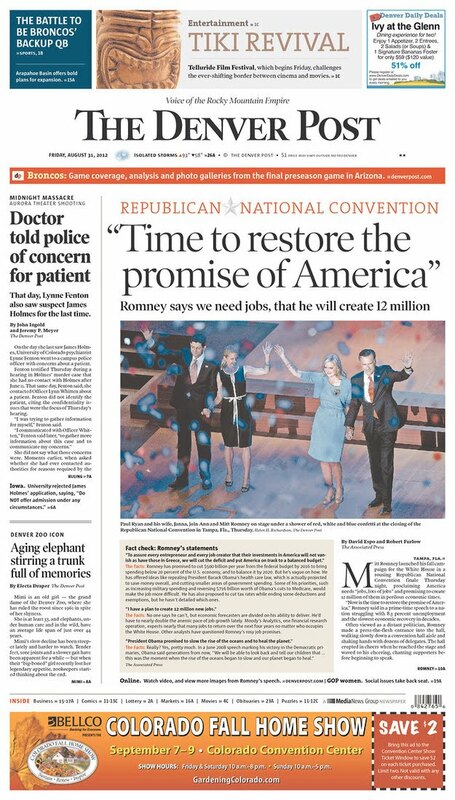 That issue appears resolved, but several people I’ve spoken to this morning make clear that Team Romney and the RNC establishment are using that compromise as a red herring to distract from two major rules change proposals that would decimate Republican grassroots and prevent upstart political campaigns. We have to remember that this election is not just about replacing the party in power. It's about who and what we replace it with. Grassroots conservatives know this. Without the energy and wisdom of the grassroots, the GOP would not have had the historic 2010 electoral victories. That's why the controversial rule change being debated at the RNC convention right now is so very disappointing. It's a direct attack on grassroots activists by the GOP establishment, and it must be rejected. Please follow the link to Michelle Malkin's article about this. ◼ Mark Levin weighs in: Damn it, defeat this RINO power grab! Basically, this so-called “compromise” on delegate selection in Rule 15 means nothing as long as Rule 12 allows the RNC to change the rules without oversight. Rule 12 would enable an RNC chairman to enact almost any rules change he or she desired, centralizing control of the party and removing the input of grassroots activists. This is an insider, establishment shell game at its worst. Personhood. Going for the jugular on abortion. Mrs Romney will take to the convention's stage late on Tuesday night in the hope that she can convey to a prime-time US television audience that her husband is not the awkward, out-of-touch Bostonian banker that he is sometimes characterised as being. ...“Quitting or reducing cannabis use did not appear to fully restore intellectual functioning among adolescent-onset former persistent cannabis users,” she said. The president's campaign is expected to make the auto bailout a key element of the Democratic National Convention during the first week of September in Charlotte, N.C.
TAMPA, Fla. – Released today by the National Federation of Republican Women (NFRW), results of a recent survey of Republican women affirm that women are most concerned about economic and fiscal issues during this presidential election year. "Obama's economic policies have failed our entire nation, but women have been disproportionately affected," NFRW President Rae Lynne Chornenky says. "Our survey affirms that women believe that the economy, unemployment, federal spending and personal finances are our biggest problems, both nationally and locally." What's more, many respondents are feeling the economic strains personally. When asked whether they are struggling to make ends meet, nearly 40% indicated that they are either struggling or somewhat struggling. More than 8,500 Republican women from all 50 states and many U.S. territories participated in the online survey, which was conducted by the NFRW from July 1 through Aug. 6. Both a summary and a full report of results are available at www.nfrw.org/programs/survey.htm. The NFRW had two requirements for participants: they had to be female, and they had to describe themselves as Republicans. The survey covered a range of topics on domestic and foreign policy, societal concerns, perceptions about women, elections, politics, personal beliefs, and demographics. Economic and fiscal issues noticeably dominated. "It's clear that we need new leadership in Washington to turn our country around," Chornenky says. "The NFRW will be speaking out between now and Election Day, educating women about Obama's failed economic record and offering Mitt Romney as the candidate with the expertise and the solutions to put Americans back to work." Chornenky is available to the media to discuss the survey. To schedule an interview, contact Lisa Ziriax, NFRW Communications Director, at lziriax@nfrw.org or 405-596-3873. ◼ "The NFRW: There's a Place for You at Our Table." 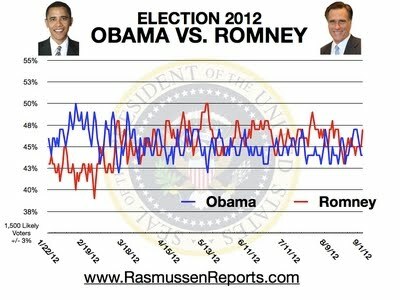 According to a new Washington Post/ABC's new survey, married women are strongly backing Mitt Romney, 55%-40%, over Barack Obama. 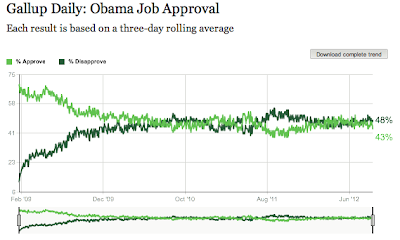 Overall, Obama's current lead among all women (49%-43%) is thanks to his huge lead with unmarried women, 57%-32%. But note: That's a smaller 25% lead than Kerry's 29% win with single women in 2004. So among both married and single women, Obama is doing worse than John Kerry. Thus far, the so-called "war on women" isn't leading to any stronger a gender gap than in previous, close elections. Bluto’s Ghost: Reform — Dead! CEQA reform — dead! Fiscal reform — dead! Education reform – dead! Pension reform? 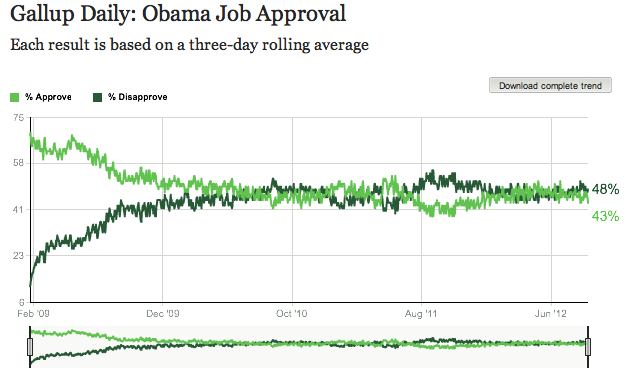 The new WaPo poll with Romney +1 w/ registered voters has a D+9 sample. ...imagine what these numbers would be if the Wapo/ABC News poll used a sample representative of the electorate in 2012, not 2008, and if they were using the more predictive likely voter model. 2016! Coming to McKinleyville and Eureka! 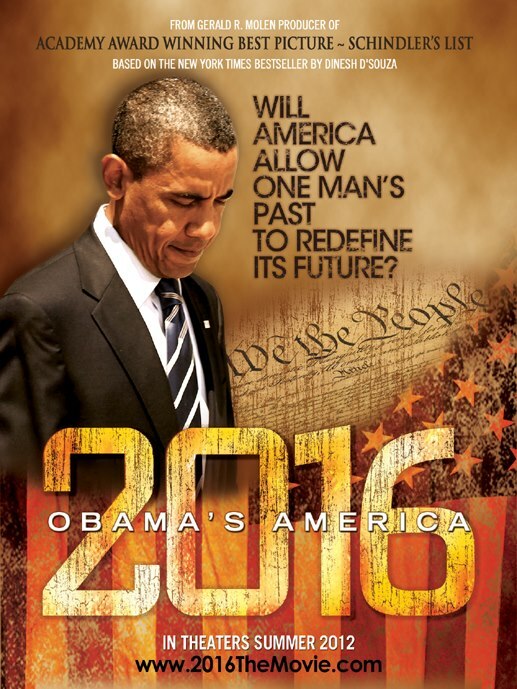 Galvanizing conservatives Dinesh D’Souza and John Sullivan’s documentary 2016: Obama's America grossed a stellar $6.3 million as it expanded nationwide over the weekend, beating a trio of three new films. The anti-Barack Obama film, opening last month in only a few theaters, now boasts a domestic cume of $9.2 million, the top gross of the year for a documentary (excluding nature films). Republican officials today released a revised convention-week schedule. Changes in the schedule are the result of the convention’s decision postpone the Monday, August 27 sessions due to weather-related concerns.